Nature can put you in a calm and relaxed mood.  Bring that feeling indoors by incorporating greenery into your home decor here at Woodview at Legacy Farms. Today we’re bringing to you some tips on keeping plants indoors in your Hopkinton, MA apartment. This macrame pot holder idea is a perfect craft for creatively adding greenery to your place. You can hang pots from your window sill to avoid using up counter or table space. Not to mention they’re beautiful! For this project, you’ll need chalked paint, a paint brush, string, and some terracotta pots. After painting the pot, you can use the tutorial to see how to twist and tie the string onto the pots. That’s it! You now have a beautiful hanging pot. Plant herbs that can sit in your kitchen or by a windowsill. They take up very little space, and you get the benefit of harvesting what you sow. Sage, thyme, basil, rosemary, and lemongrass will all grow well indoors along with many others. One writer says that all herbs can live indoors as long as you take into account the hardiness of the plant, the time of the year you plant them, the air temperature, and the type of soil they live in. Take these into account and you’ll have thriving and fresh herbs all year. Beside planting herbs, buy plants that are good for living indoors. Some plants that work well would be spider plants, aloe vera, snake plants, dracaenas, palms, philodendrons, and succulents. Many plants are also great for purifying your home. Some of these include peace lilies, rubber plants, bamboo palms, snake plants, and dumb canes. Choose the right plant for you and your home. For example, if your apartment doesn’t get a lot of sunlight, choose a plant that’s okay with that. If you aren’t home a lot, find one that’s okay with little watering. You can find some of these plants at your favorite nursery, farmers market, or supermarket here in Hopkinton, MA. What houseplants do you have? What are your tips on keeping them alive and happy? Let us know in the comments. Thanks for reading!